Hello Everyone! Today I am sharing my first ever 3D project for Pion Design. 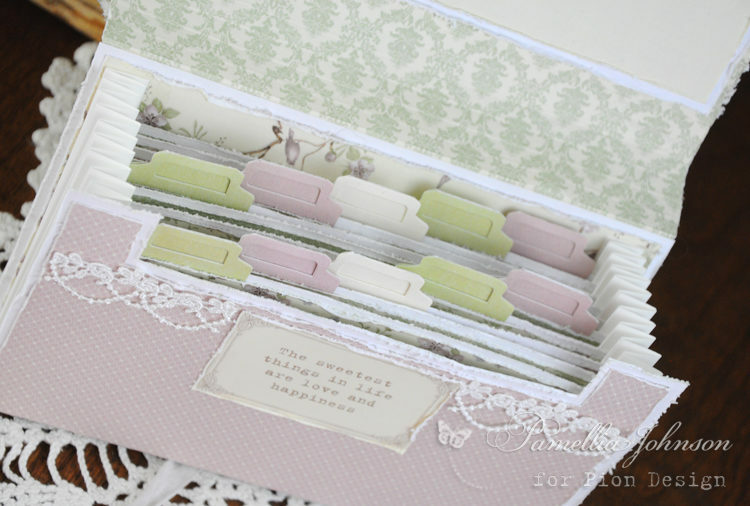 I have used the collection “Days Gone By” to create this shabby chic expandable photo holder /receipt organizer. This would make a great gift for Mother’s Day! To capture all the beautiful details would take many photographs, so I have put together this video so you see the gorgeous papers inside and out! I do hope you enjoy! Thanks for visiting and happy crafting! Hi Pamellia WOW this is Gorgeous ………………. going to have to have a go at one of these ! Thank you sooo much for sharing and the video . May i ask please where that you buy that special plastic paper please or the name from this paper please.